How does it feel when you’ve lost love, especially when you’re the one who walked away? Katia is going home to win back someone she left behind. Can she mend the heart of the man she loves as well as her own? Katia’s story goes all the way back to the night that I woke up at three in the morning with my dream still in my head about this auburn haired, beautiful woman standing under a street lamp, around midnight, looking up at a single burning bedroom lamp in the mansion across the street. In my “vision” the woman turned to me and stared. She told me that I was to write her story. I knew instantly that she was in love with the man in that house and that he was awake thinking of her. I also knew that she couldn’t “go” to him because he would have nothing to do with her. She was the one who had broken his heart when they were teenagers and not only had he not forgotten her, he had become the town’s recluse because she abandoned him. 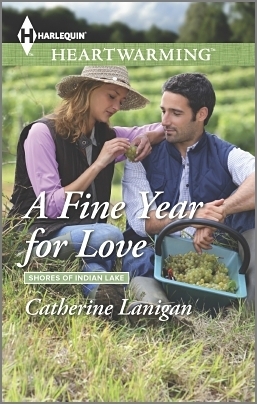 Katia’s story did not evolve the way some stories do for me, but was just “there—everywhere.” Despite the fact that this book is the fourth in my Indian Lake Series, her story was the impetus for my ability to “see” these romances in this small lovely town. That said, I should go back to the very beginning of The Indian Lake Series. Long before there was Heartwarming as Harlequin’s line of books, I sensed, intuited, realized (use whatever word you want here) that there was a huge market for not just Christian based romances or Amish romances, but clean romances that had some tough issues in them as well. I invented Indian Lake along the lines of Jan Karon’s small town Midford. I loved those books, but I wanted more characters, more individual stories. I based my little town on my hometown of La Porte, Indiana—just with a better paint job on the downtown buildings. Once the anchor characters came to me, the octogenarian Mrs. Beabots, Sarah Jensen, Maddie Strong, Liz Crenshaw, Austin McCreary and the four handsome Barzonni brothers, it didn’t take long for me to realize there were dozens upon dozens of romances and life stories in Indian Lake. My proposal for the series was 155 pages long. Half the characters I came up with in the beginning may never have a story of their own to be written as they are most likely too eccentric for Heartwarming, but who knows what the future will bring? 2. What do you hope readers take away with them when they read your books? I always want to entertain to the best of my ability on that given moment in my life when I’m writing. Depending on the story, I hope readers find hope, laughter and inspiration to keep believing that love creates miracles in life. I truly do believe that. I believe what Jesus said, that of all the gifts, love is the greatest of all. It takes a great deal of courage to extend ourselves to someone else, to risk our hearts which can be so easily broken and say, “Here. Take my life. It’s yours.” Frankly, that’s a huge conflict to get over. I think that’s why romances appeal to so many people. Loving is not easy. It’s tough. It’s always thinking of the other person first, especially when we have so many other things to do, places to go, etc. In KATIA’S PROMISE, she has to go back to Indian Lake and face the one person whom she has betrayed. For all the good she’s done in her life since she was 16, this is a lot of regret to swallow. 3. Do you have a favorite scene? There are quite a few in this story, but my favorite is when Katia is so desperate to get Austin to talk to her that she “breaks” into his house to see him. Katia had been the maid’s daughter in Austin’s parents’ mansion when she was a little girl. Therefore, this house had been her childhood home as well. Once she was a teenager, she fell in love with Austin and he with her. However, Katia’s mother feared their growing relationship and moved Katia and herself to Chicago on the eve of Katia’s trip to New York for Austin’s senior prom. Austin waited at La Guardia for Katia to show up, but she never did. Katia was ashamed that her mother thought she might become pregnant and was too embarrassed to ever call Austin again. Austin never forgave her—and never forgot her. Katia has kept the key to Austin’s home all these years. Once she comes back to Indian Lake, he won’t talk to her about the insurance policy she is trying to sell him. So, she goes to his house, uses the key and lets herself in. The security guards are alerted by the electronic security system. The cops show up. The housekeeper, Daisy, comes running and its pandemonium, while all this time, Austin is upstairs in the shower. It’s an embarrassing, but very humorous moment for Katia and Austin both! 4. Share something about you that is unique. How/where you write. As I’ve become friends with authors over my thirty years of writing, I don’t think I’m unique at all. Maybe I used to be, but not really. I write at the same desk where I wrote my very first book, but now I’m back in my family home where I grew up. I have an incredible nearly 100 year old golf course to look out on. I love trees and animals, and right now the deer are eating all my holly bushes and have destroyed my landscaping. But they are living. My husband says we’ll buy iron yard sculptures in the future. Maybe not. I have more books in my head than I have time to write, but I’m trying. I write screenplays as well as novels and my husband is a film producer. Back in the day, when Romancing the Stone came out my life was beyond unique, it was incredible. Michael Douglas and Twentieth Century Fox sent me on book tour all across the US and even to Europe to promote the book and film. In Taormina, Sicily I stood on a stage in a coliseum that was 400 years older than the coliseum in Rome in front of thousands of people who were chanting my name. THAT was like living the lead character role in a novel. Catherine Lanigan is the famous author with over 40 books published including “Romancing the Stone” and “Jewel of the Nile”. This is the first in a series of at least five books about the romantic and electric world of Indian Lakes. One of the first characters we meet in the Indian Lakes series is Luke Bosworth. There are five stages of grief, and Luke Bosworth is stuck on anger. Unable to move on after his wife’s death, he’s struggling to make ends meet and be a good father to his children—a fight he’s afraid he’s losing. But then Sarah Jensen crashes into his life. Dealing with the loss of her mother, Sarah is a kindred spirit in grief. And even though he doesn’t always agree with her actions, she renews hope for Luke and his kids. Suddenly he’s making plans for the future again. But can he take the risk of falling in love a second time? Café owner Maddie Strong is finally ready to take her burgeoning cupcake business to the next level. With the help of handsome businessman Alex Perkins, her future’s all mapped out. Until her first love comes home. At seventeen, Maddie adored Nate Barzonni with her whole heart and soul. But when he asked her to elope, she’d said no—she couldn’t let him throw away his dream of becoming a doctor. Then he vanished from her life for eleven years. Now the cardiac surgeon has returned to Indian Lake asking for a second chance, and Maddie has to choose between her new life…and the man she never stopped loving. Catherine Lanigan is the bestselling author of over forty published titles in both fiction and non-fiction, including the novelizations of Romancing the Stone and The Jewel of the Nile, as well as over half a dozen anthologies, including “Chicken Soup for the Soul: Living your Dream”, “Chicken Soup for the Writer’s Soul”, “Chocolate for a Woman’s Heart”, “Chocolate for a Woman’s Spirit”. Ms. Lanigan’s novels have been translated into over a twenty-four languages including German, French, Italian, Spanish, Russian, Portuguese, Chinese, and Japanese. Ms. Lanigan’s novels are also available in E-books on Amazon.com and BN.com. Several of her titles have been chosen for The Literary Guild and Doubleday Book Clubs. Her Vietnam war-based novel, The Christmas Star, won the Gold Medal Award Top Pick from Romantic Times Magazine and also won Book of the Year Romance Gold Award from ForeWord Magazine as well as Book of the Year Romance from Reader’s Preference. Cedar Fort, Inc. published the third book of angelic interventions, Angel Tales. Angel Watch and Divine Nudges, the first two books in Lanigan’s Angel Watch series of books about divine intervention in human life, were published by HCI. Allworth Press released Lanigan’s “how-to” book on writing: Writing the Great American Romance Novel. Ms. Lanigan’s first Young Adult Adventure novel, The Adventures of Lillie and Zane: The Golden Flute was published by Cedar Fort. Lanigan was tasked by the NotMYkid foundation to pen a collection of compelling and informative true stories of teen addicts. 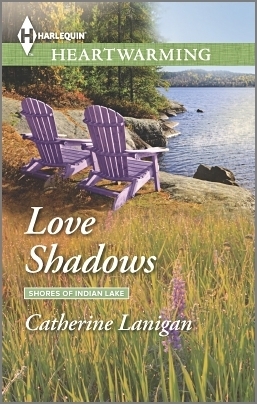 April, 2014 will see Lanigan’s new clean romance series HARLEQUIN HEARTWARMING’S publication of LOVE SHADOWS, the first in Lanigan’s “Shores of Indian Lake Series”. HEART’S DESIRE will also be published in 2014. A FINE YEAR FOR LOVE January, 2015. KATIA’S PROMISE May, 2015. 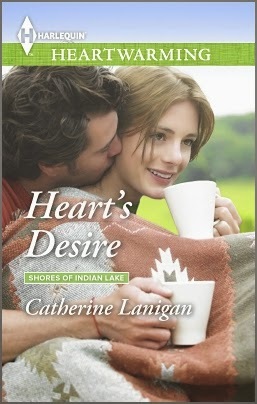 Lanigan is working on the next three novels in her Indian Lake series for HARLEQUIN HEARTWARMING. Ms. Lanigan is a frequent speaker at literary functions and book conventions as well as inspiring audiences with her real stories of angelic intervention from her Angel Tales series of books. 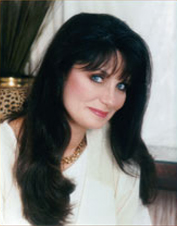 She is an outspoken advocate for domestic violence and abuse and was honored by The National Domestic Violence Hotline in Washington, D.C. She has been a guest on numerous radio programs including “Coast to Coast” and on television interview and talk show programs as well as blogs, podcasts and online radio interview programs.